The Crunch is a blog by Guthry Trojan that takes the politics of music-making seriously. SCORES/IMPROVISATIONS/TEXTS is a blog by Jukka Pekka Kervinen with many samples of graphic and prose scores. I still find prose scores to be useful in certain circumstances, graphic scores seem more an item of nostalgia than urgency these days, and I remain allergic whenever Fluxus flops in, but all things return and have potential to surprise. Fun little quiz, but it's a real bummer that they've not included my beloved Californian dialect. I'm totally confused about putting music online. On one hand, there is a lot to be said to just putting stuff out there. Webspace is cheap and up- and download times are brief, so it all should be pretty easy. A lot of my colleagues are going the MySpace.com route, which I've just learned is part of an evil empire. On the other hand, my rights organization (GEMA, the German equivalent of ASCAP or BMI) wants to make me pay a license fee upfront if I want to put my own music online, which strikes me as circuitous and perhaps a real loss of my own rights, rather than protection. I do appreciate the fact that GEMA does a fair job of collecting fees for physical recordings, concerts and broadcasts, and I want musicians to be able to earn a fair income from any innovative technologies for reproduction and transfer, but I don't see even the outlines of a workable plan for doing this yet. I could wax a little rhapsodic legalese over the brewing conflict between 19th and 21st century conceptions of intellectual property rights, but the issue for me is a practical and immediate one. At the moment, I'm only putting scores, occasional works and juvenalia online, things not registered with GEMA, and will wait and see about the rest. But I'm totally open to other suggestions. Quite a few composers write ensemble pieces in an "open" format. The instrumentation is not fixed beforehand, and can be played by a variety of ensembles. Others aspects of the work may be open as well: the form may be modular, with the order of parts, numbers of repetitions, or total duration variable; it could be composed of a single line that becomes an ensemble (think In C) or already divided into parts, equale or with contrasting ranges. There have been collections of music in the past -- the Attaignant Dance Prints or the Fitzwilliam Virginal Book or C.F. Peter's collection of Walzes -- through which one can get a playable snapshot of musical activity in a single environment. I propose now to do the same for our contemporary consort music and to put online a collection of scores for ensembles with variable or flexible instrumentation. The purpose of this project is, first and foremost, to get pieces played, and the possibilities of reaching professional players in this way are real and serious. However, I will admit to an ambition beyond that, perhaps a naive ambition: wouldn't it be extremely cool to get together in the evening with a handful of musician friends, download some of the latest scores for open ensemble, and just play some music? Composers of "serious" music have been undervaluing amateur (in the best sense of the word) music-making lately, and the distinction between the music played by amateurs and professionals strikes me as artificial, a remnant of the 19th century masterwork ethic, with a discouraging effect on the prospects for building a repertoire that reaches across a continuum of performance conditions. If this project works out, we can think about a similar book of music for piano, or four-handed piano, or percussion, or flute, or recorder, or a book of songs or madrigals, but let's try this now and hear what happens. I heartily recommend Nicolas Collins' (1) new book Handmade Electronic Music: The Art of Hardware Hacking (Routledge 2006). This is a nice introduction to one of the paths in music experiments, one that began with independent and subversive tinkering with the remainders of the military-industrial-scientific world and has continued to be lively with the added jetsam of the digital era. Whether building useful little amps, mics, and oscillators, or laying hands on the entrails of discarded radios, this handbook is a nice way into a world where intuition and trial-and-era can play a greater role than those theory lessons you've probably long forgotten from high school Physics lab or machine shop anyways. The author's prose is sometimes a bit vivid for my tastes, managing to sustain a higher one-liner-per-paragraph-ratio than either Abby Hoffmann or Tom Robbins, but maybe that's a good thing, because the subject is one that you can probably take in best in small doses. My son (who'll turn 13 in two weeks) and I have already worked our way through a few chapters, and it sure beats the Boy Scout Manual for cool and noisy things to do at home, while matching the Boy Scout Manual point-for-point on the quality of the safety guidelines. Merit badge well deserved Mr. Collins! (1) Let me get a possible conflict of interest out of the way: Mr. Collins and I were both students of Alvin Lucier. He studied with Lucier at a time, a few years before mine, when both he and Lucier shared an interest in applying electronics to their music, while by the time I got to Wesleyan, the post-analog, not-quite-yet-ready-for-prime-time-digital era meant -- for me -- that figuring out what to ask voices and instruments to do seemed more urgent. I entered grad school retired from both soldering (never solder on a pool table) and programming (nothing worse than entering Buchla hex code into a cassette recorder), and have basically avoided doing both ever since, although a certain summer project(2) looks likely to change that. (2) More about that later. Because I like it. (Okay, I could point out some amazing technical features, especially metrical, and those involving the problematic but rich instrumental combination, but it's really on the list becuase I like it, so that ought to be enough. I heard it in when I was 13, played by Hermann Baumann, Eudice Shapiro, and John Steele Ritter at the last Claremont Music Festival. The music was so cool that, riding back home in the dark on my bike after the concert, I realized that there was no better ambition than that of composing, and made that ambition my own. Note to my parents: You can blame Brahms). Lucier could have entered this landmark list several times already -- I AM SITTING IN A ROOM (can you think of any other piece from the '60s with the same staying power? ), MUSIC FOR SOLO PERFORMER, MUSIC ON A LONG THIN WIRE, CROSSINGS, or NAVIGATIONS FOR STRINGS might still appear -- but BIRD AND PERSON DYNING (an audio and video version can be found here) is here noted as a landmark because it is, uniquely, music where we actually listen to a composer listening. The sweet joke of the title conveys some of the initimacy of the piece: on stage are found only a solo performer wearing binaural mics, an electronic bird call hidden in a Christmas ornament, and a couple of loud speakers. The only visible motion is that of the performer, carefully moving through the space, sometimes walking, sometimes making just the slightest move of the head (listening and moving are here inseparable). The sounds heard are that bird call, and that bird call has heard by the performer through the binaural mics and the loudspeakers, and the increasing interactions between the two. Like all intimate situations, this simple one can rapidly, no, catastrophically, turn into a complex one. When I first heard this piece -- early in the Volcker administration -- something suddenly came into focus when I realized that one could understand a piece of music as a path through an environment -- a set of materials and conditions and relationships --, a metaphor which has usefully stuck ever since. Today would have been Stravinsky's 124th. A friend pointed out a review by Terry Teachout of the new, second volume, of the Stravinsky biography by Stephen Walsh, Stravinsky, The Second Exile: France and America, 1934-1971 . The review focuses on two areas, Stravinsky's relationship with his family and with Robert Craft (the man for whom we now reserve the profession of ananuensis) and the veracity of Stravinsky and Craft, a topic which doesn't interest me, and the status of the late music, a topic which interests me a lot. Yet except for Agon, which survives mainly in its capacity as the score for one of Balanchine’s best ballets, none of Stravinsky’s later works has entered the concert repertoire. Nor does it now appear likely that they will be taken up by a new generation of performers. With the revival of tonality, time has passed them by. In the late works there is at least one failure (The Flood), there are several occasional and memorial pieces, ranging in quality from delightful to harmless, and there are some arrangements (J.S. Bach, Gesualdo, Sibelius, Hugo Wolf). Failures, occasional pieces and arrangements rarely have repertoire status. (Though it should be noted that the little Greeting Prelude is both an arrangement and an occasional piece, and manages to get played with some frequency). But there are four major works: Agon, Threni, Movements for piano and Orchestra, and the Requiem Canticles. Teachout and I can agree on Agon, and performances of the other three pieces are indeed rare. Threni and Movements might never have a wide audience, although the professional opinion on Movements has always been high and, in the case of Threni, has lately been part of a modest growth market. With the right players, Movements can be like fire crackers in the concert hall, so I wouldn't close the book on it. I believe that the Requiem Canticles is* a repertoire item, but it is a unique member of the repertoire. It has not been and I expect that will never be played with great frequency. In part, this is due to material circumstances: it requires an orchestra, which, although small in total, requires the hiring of additional players in some sections, it requires a choir and solists with better-than-normal musicianship, and it is relatively brief for a work that requires such added resources. In other words, it costs too much. But I believe that there are also non-material considerations which weigh more heavily in this case. The Requiem Canticles is, in the end, a requiem. An odd requiem, to be sure: an incomplete or fragmented text, a text in Latin by a Russian Orthodox composer, the odd duration and ensemble. It has always been a problem to find the other piece or pieces to program with it in a concert. Or does it belong in a concert hall at all? Putting it in church is also a problem. Impossible in an orthodox church, chancy in a catholic church, and probably not appropriate to a protestant church. And the Requiem Canticles is an auto-requiem by a composer whom musicians hold in high esteem. It's one of those pieces for which we hold such high esteem that we cannot let it suffer a bad performance. So we don't play it often, but it haunts us all the time, and when we play it, we try to get it right. "In the repertoire" does not mean played often. * Should it be the Requiem Canticles are or the Requiem Canticles is? Nixon in China/Reagan in Space? "I couldn't help but -- one point in our discussions privately with General Secretary Gorbachev -- when you stop to think that we're all God's children, wherever we may live in the world, I couldn't help but say to him, just think how easy his task and mine might be in these meetings that we held if suddenly there was a threat to this world from some other species, from another planet, outside in the universe. We'd forget all the little local differences that we have between our countries, and we would find out once and for all that we really are all human beings here on this Earth together. Well, I don't suppose we can wait for some alien race to come down and threaten us, but I think that between us we can bring about that realization." This is posted as yet one more reminder that recent American political history, as momentarily lively as it may get, is seldom the source of potentially operatic material. Had Mars actually attacked in 1984, I doubt that we'd be seeing the revivals of Nixon in China that grace our stages these days. Casey O'Callaghan is a philosopher specializing in perception, and perception of sound in particular. He's got some interesting essays online. Reading philosophy is sometimes a bit alien for me, especially when the topic is one in which I have some intimacy. The philosopher's perspective, and I suppose it's necessarily so, is at once reduced and sophisticated. I can recommend O'Callaghan's essay on Hearing Recorded Sounds. This (Quicktime required) is disturbing, especially for those of us who neither do mornings well nor drink coffee. But, hey, you can't be anything but happy when there's a melodica involved. It's the law. Christian Wolff is probably the most significant melodica-playing composer, and Steve Reich even has a piece named after the instrument (although I believe that he actually used a melodica-knock-off toy instrument for his tape piece). Okay, it's not the law. But it ought to be. I've been posting a lot lately, but readership and response is modest, with the thinner summer readership already setting in. Should I take a break? If you find any of this worth reading, let me know (either via the comments function or email DJWOLF attttt SNAFU dotttttt DE), or I'll just hang loose for a bit, maybe compose some more or even (finally) get around to painting the window frames. I had the notion of applying for press credentials and blogging from the Darmstädter Ferienkurs this August. But before dashing off an email, I took a look at the program (featured composers: André, Aperghis, Furrer, Hölszky, Hosokawa, Lachenmann, Mack, Reudenbach) and better judgement took over. Okay, I might drive down to hear something by Dieter Mack, but the combination of this program (bleak, grim, bleaker, grimey, grimmer) and sweltering, dusty Darmstadt in August is just not promising stuff for a "what I did in my summer vacation" essay. György Ligeti has past away at 83, no details available. I entertain a suspicion that most musicians have -- at least within the privacy of our ateliers, rumpus rooms, redoubts and cloister cells -- rather idiosyncratic ways of thinking about what we do when we make music. With time and experience, you come to certain understandings with the muse: the terms and metaphors you use to describe music, its parts and its attributes, the habitual networks of associations with which you tie those parts and attributes together, and the external sentiments we attach to both parts and their connections. On the one hand, this is simply the personalization of the theory that we have received through institutions and teachers, but I think that it is both more and less than that. Personalizing puts weights and values on systems and structures that come to us from "official" music theory with a certain degree of value neutrality. But a personal, private, theory is under no obligation to be either complete or internally consistant, demands that are reasonably made of public theories. (Personal theories are not validated by the truth or logical consistancy of the theory, but by the character of the works and performances they help bring into being.) And personal theories can make connections among repertoire that represent the individual's experience and taste, and that repertoire has no need to be understood as coherent in any terms other than the individual's experience and taste. I have a couple of theoretic notions that I keep coming back to in my work, and I like to think that I am able to keep them rich by avoiding or postponing the expression of these notions in formal terms. Perhaps at risk of public doubt of my complete sanity, I'll mention a few of these. One is the notion of a field, a space in which musical materials are assembled. (2) The space could be organized along some strict metric -- pitch height or class, a tuning lattice, a row box, or a Partchian diamond or one of Erv Wilson's Combination-Product Sets -- or it could be filled in some random way, a one dimensional list, or one of Cage's multi-dimensional charts (as in the Concerto for Prepared Piano and Chamber Orchestra or the Music of Changes), or the pools of material found in some of Christian Wolff's "cuing" pieces. I often think of my scores as paths across such fields. These paths might be random, or weighted, or patterned, or could be forced to follow a kind of gravity. (For example, if you think of the primary, root position, triads in common practice tonality as positions in a series of fifths IV -- I -- V, common practice allows any move to the right, but only moves of one step to the left). Another notion dear to me is that of spacing -- how pitches are assembled vertically. I pay close attention to gaps and densities in the spacing, and often times the choice of a new pitch will come more immediately to me from spatial rather that functional harmonic considerations. I've come to recognize three basic spacing structures: one in which intervals get smaller as frequency increases, in this resembling a harmonic series, I call "harmonic", another when intervals get smaller as frequency descends, I call "subharmonic", and a third, in which intervals are more or less equally distributed, I call "neutral" or "equal". (It's not neccesary that these relationships be precisely harmonic, equal/neutral, or subharmonic, juat the rough characterization suffices). As this is purely a private theory, I'm not going to formalize it, but I do believe that on the basis of a spacing model, you could construct a reasonbly complete description of species counterpoint, tonal harmony (major/minor, consonant/dissonant) or even orchestration (clear/muddy, thin/dense etc.). (1) Yes, it is often a good thing that private theories stay private. (2)In my catalog, there are a number of pieces which come directly out of this : Field Study, Crossing The Field, Fieldwork (String Quartet II. ), Afar Afield, Farther Afield, The Art of Fielding. Aside from sharing the notion of the field as a point of departure, these works have little in common. Prickly Paradigm Press is now putting several of its older titles online in PDF format. PPP publishes small books, mostly from social scientists, or those on the edge thereof, and I've found the PPPs that I've read to be thoughtful, playful, and a nice departure from my everyday scholarly music reading (how about some German here: Alltagsmusikwissenschaftlicheslektüre)(! ), especially when there's something with which to disagree. *I was also fortunate to have Brown as a teacher. I will forever be in his debt: he was patient with my words, he presented me to John Cage, and blessed my graduate study with a recommendation to go to Wesleyan. Officially "Professor of Humanities", and originally a classicist, in the end that which he taught his students, following the example of Charles Olson, was posture, and if composing is about anything at all, it's about posture. Try this: the next time you play or listen to a piece of music, ask yourself if the composer has posture? Has she or he taken a stance towards sounds or silence? Towards the world, towards you, the listener? Does the composer love the world enough to risk the inherently violent act of putting sounds into it in order to change it? I am a great partisan of Bratislava's "middle-class orchestra" Požoň sentimentál (sorry but their web site appears to be a bit dismantled at the moment), with a basic instrumentation of flute, violin, piano, and accordion, they are a kind of K.-&-K.-era salon orchestra, playing originals by the four members as well as arrangements of everything from salon standards to Schoenberg. A fascinating take on Kitsch and life in central Europe. TOTAL EARCANDY: PBE's LATEST FLASH-BASED MUSIC COMPOSITIONS ADDS SWEET FLAVOR TO DIGITAL MUSIC COLLECTION. Expanding on its line of acoustic and digital music,the Paul Bailey Ensemble today announced a new series compositions designed sure to be a feast for the ears as well as the eyes and come in such tasty colors as coconut white, tropical ice blue, and licorice black. These new products incorporate our most coveted features in a fresh design that's unlike anything in the market today," said Kelly Davis, senior product manager for at the Paul Bailey Ensemble. "They're a playful and easy way to enjoy live performance; just listening at them makes you want to smile." The compostions are easily played back using both MP3 and Ogg Vorbis music files, in addition to supporting WMA and WAV formats. They are compatible with Itunes ™ online music store and include Itunes ® software to import, manage and transfer music collections. Becoming available at retail stores and at authorized dealers nationwide, the ensemble will be giving a special demonstration of these new products at the realnewmusic festival on Saturday, June 24th at Whittier College. Pricing is flexible, Tickets are $10.00 /$7.50 (students and seniors or anybody two for $10) . At the conclusion of this event the ensemble will distribute an optical disc that connects directly to a PC for the process of transferring music. These discs provide up to 5 hours of continuous playback and feature a quick-change function that enables individual selection of your favorite musical products. In fact, through recent changes in our distribution system you can access any of this material online for a small fee. The first is the Other Minds Archive at the Internet Archive, including much from the tapes of KPFA, the Bay Area Pacifica station. (I like this concert of works by composers mostly connected with the S.F. Tape Music Center (I like the Ramon Sender aquarium piece segueing into the Leedy Octet: Quaderno Rossiniano), this autobiography by Henry Cowell, and this 1947 rehearsal recording of Stravinsky conducting the Symphonies of Wind Instruments. There are also treasures by Lou Harrison, John Cage, Robert Ashley, Harry Partch and many others. It is disappointing, though, not to have anything by Robert Erickson, for a time Music Director at KPFA, a fine composer and an important teacher). The second is a document archive collected by the late Jim Horton. * Okay, I know that it's the City of Our Lady, Queen of the Angels on the River Porciuncula but I couldn't resist. So I happen to run into two composing colleagues in the Main Train Station here in Frankfurt. We have a few minutes to chat before the trains start to leave. Turns out that we all had something in common besides our vocation: we're all insomniacs, and we all agreed that when all else failed, there was nothing that went better with that insomnia than televised hold 'em poker at 3:00 in the morning. Remember the Magic FingersTM machine? Once upon a time, they were installed in motels everywhere, a coin operated gadget that would shake the bed for a few minutes in return for a quarter. I suppose that it was someone's idea of a mechanized massage, but that someone was probably a Calvinist of some sort who had never actually experienced a real massage. But the Magic FingersTM machine did have one great, if unintended, attribute: it felt so good when it stopped. When everything has gone well, a composer has that same feeling when a piece is finished, especially when all the loose ends are covered: parts made, errors corrected, posted or faxed or emailed in time for the deadline. But if the composer harbors any doubts at all, the strangest, emptiest, feeling can set in. You're not sure if the piece works or not, or if you have really done all the work, or if you have gone too far, meddled a bit too much with something that was better off the way it was before you started mucking about. Or maybe the piece was no good to begin with and no amount of adjustment is ever going to fix the thing. When I have the luxury of a far-off deadline, I like to tinker with my pieces, especially when it comes to details. I like to load up my notation program with a half-dozen scores, decide which one works least well, and then go in and work on that one first, and then a bit on the others. Then I go through, reassess the rankings, and begin again. This process has the benefit of elevating the general level of quality, but carries the risk of going to far and throwing out some good material along the way (confession: I am miserly with my disk space, lazy about saving interim versions of pieces, and have no intention of changing these habits). It also has a slight masochistic quality to it: by continuously delaying the end of a piece, I am sustaining the euphoria of the compositional experience in exchange for delaying the feeling of satisfaction that comes with completion. Some composers work fast and never revise, others are serious revisors, taking years, if not decades to finish pieces. Analyse this if you like, but I think it takes all kinds to keep our musical lives lively. We've noticed that customers who have purchased The Contemporary Violin: ExtENDed Performance Techniques (The New Instrumentation) by Strange Patricia also purchased books by Andrew Lloyd Webber. For this reason, you might like to know that Andrew Lloyd Webber's Andrew Lloyd Webber Classics (Andrew Lloyd Webber Classics) will be released in paperback soon. You can pre-order your copy at a savings of 35% by following the link below. After considerable deliberation, I have decided to pass on this particular item. Nevertheless, my curiosity about Lord Andrew's contributions to extended instrumental techniques has risen from nil to slightly more than negligible. No one denies that we all want performances of new orchestral work that composers, musicians, and their audiences will look to with pride and satisfaction. Six key industry players discuss ways of reaching that goal and the hurdles that remain in our path. If that's an "industry" then it's about as advanced as the Morgan Motor Company. I mean, seriously, do we really want to speak of orchestras as industrial? That's risking a market environment in which I do not believe most musicians are prepared to compete, and I suspect that the introduction of industrial production values may adversely affect product identity. From an industrial point-of-view, it is silly that Morgan still has a woodshop, puts the wheels on first so that the cars can be rolled up and down the hill from shop to shop, and use very few power tools, but those are exactly the elements that make the Morgan's identity as a "hand-made" motorcar so charming and enduring. The endurance of the orchestra as an institution is also in large part due to charm -- evening dress with tails, horsehair bows, coughing between movements, that person in front of the orchestra noiselessly gesticulating -- and it's hard to say what a loss any retreat from these charming elements would mean. Checking up on a few Wikipedia music theory articles, I found a few discussion pages where articles were critiqued for not representing "standard music theory". While the articles in question may well have had some genuinely unorthodox aspects or even contained the -- in Wikipedia forbidden and dreaded -- "new research", this line of criticism hung, however, behind the great fig leaf of music education, the notion that there is a "standard music theory". In practice, most of what is called "music theory", even well into a university-level education, is, in fact getting command of notation and some terminology, with the goal in the best cases of attaching that notation and terminology onto real sounds as an useful ancillary to performance and perhaps some composition. Few students are made explicitly aware of the diffences between music theory as an analytic or synthetic activity, and many students are confused by the relationship between the physics of musical sounds, the perception and cognition of musical sounds, and the cultural construction known as music theory. Further, very few music students leave even a graduate education with any understanding of the breadth of music theory, whether as analytic theory (concerned how existing works of music were put together, are heard, and possibly what they "mean") or as speculative theory (concerned with how works of music might be put together or heard). (1) Music theory is parochial. 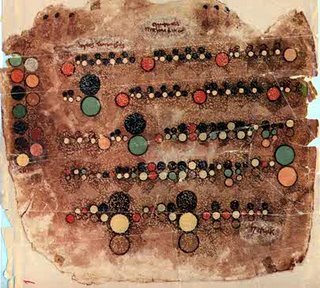 Music theory is sometimes practiced within national boundaries, sometimes within networks of theorists or institutions. Comparing the best selling harmony books in Hungary, Austria, Germany, France, Russia, or the US can be a startling experience. The premises and the notations can be wildly different. (This has very practical professional consequences: without recognizing the boundaries or networks, is may be difficult for a musician or scholar to make contacts or advance professionally. Tangentially relevant aside: In my own case, I think I aced the music GRE because I happened to notice that the chair of the Music GRE Board at the time was a Berlioz scholar. Sure enough, at least one of the 100 questions had to do with Berlioz; whether or not Berlioz was worth 1% of an exam attempting to cover music theory and history with at least token references to non-western and popular music was besides the point, which was: knowing something about Berlioz is worth something on this test). (2) Music theory is provisional. The nature, extent, and limits of music are not known, and it is far from known what criteria would a "final theory" of music would have to fulfill. We are probably stuck for the foreseeable future in the state of waiting for better theories to come along. This is an active area of research but at any given time, it has probably been explored more thoroughly through innovative composition rather than theory. (3) Competing theories of music do not neccessarily contradict or invalidate one another. They may complement one another, filling in each others' lacunae, or tracing the alternative paths in a music which is, in fact, ambiguous, or, in many cases, they may be equivalent, alternative ways of describing the same phenomena. While there may be some institutional power to be had in forcing the hegemony of a single theory or complex of theories, I remain persuaded that having as many theoretical tools available as possible is both more sustainable intellectually, and more humble in the face of the complexity of music. Non-relevant forms? Sonatas, Symphonies, Concerti, Fugues (and many many more). The question could rather be: Relevant to what and to what ends does that relevance function? If your song, dance, or album (now going the way of the dodo in favor of the consumer's iPod list) is "relevant" to the prevailing entertainment market, then it is probably tightly bound to the content restrictions of that market, thus maintaining the status quo, or when introducing innovations, changing it only incrementally. This is a conservative impulse, and is not about learning more about the world, or changing the way one listens to the world, but simply consuming the definition supplied by an economic elite of what music is allowed to be. If, on the other hand, music aspires to challenge the nature and limits of our listening practice, it will fit unwell into the existing market apparatus and make substantial demands of listeners' habits. One might argue that this anti-conservative impulse demands an "elite" community of listeners who are committed, experienced, possibly learned, and always open. But this "elite" is not comparable to the economic elite in the entertainment industry: membership is open to all and is not a result or sign of economic status or influence. It is an accomplishment -- a deep and personal relationship to music -- on its own terms, but also an affirmation that music, and the world around music, can be different. Finally, and for a broad audience, a persuasive case is made that the official results of presidential election of 2004 did not reflect the will of the voters. I'm generally a sceptic about things like this, but if someone set forth to rig an election, this article describes just about the optimal way to do it: not through a single large activity, but through simultaneous smaller, and apparently unconnected, measures netting the desired result with sufficient leeway to allow for the possible failure or detection of any or some of the single elements. * Further, such a program could be executed with total deniability, in that the campaign management need only give the instructions to "do everything possible" to win. When the campaign has already created an atmosphere where the ethical threshold is low, independent operatives at the local level are ideally placed to define "everything possible" in a creative and effective way. The city of Frankfurt, Germany recently had elections to the city parliament (90-some members) and local councils (up to 19 members). The ballot was a piece of paper the better part of a square meter in size. Voting in the Land of Hessen is complicated -- voters can vote straight party tickets, or mixes of parties, or for individual candidates, or if they vote for party lists, they can strike out individual names or assign more weight to individual names -- and counting the votes is almost rocket science, but it is still a paper ballot, with crosses in little boxes drawn by the voters' hands, and counted by real people one-by-one. Paper ballots work really do work, and they leave a real physical trail of voters' intentions. You have to wonder why so few people in the US are asking why there is supposed to be a need to switch to something other than paper ballots. It wasn't broke, and trying to "fix" the problem actually means trying to fix elections. Proverbs for Paranoids, 3: If they get you asking the wrong questions, they don't have to worry about answers. (in Pynchon, Gravity's Rainbow). * That's exactly how orchestral tuttis work, by the way. "The first casualty when war comes, is truth" - Hiram Johnson, Governor of California (1910-1917), US Senator (1917-1945), co-founder of the Progressive Party. I guess the present adminstration decided to cut to the chase. They went ahead and let truth fall even before the war began.